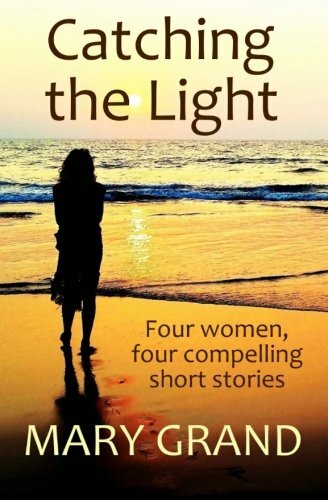 Catching The Light by Mary Grand is a mass market contemporary collection of four short stories. The story has the themes of loss and hiding, hurting and healing. It is a story of new beginnings and shows how friendships can form through the national pastime of dog walking. 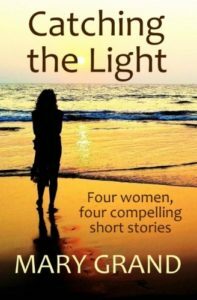 Catching The Light has the difficult theme of domestic violence but it is sensitively tackled. Sometimes one’s true character is revealed when it is just too late. There is the need of good friends to rely on and to help. There is also a mythical element to the story. Belonging is a gentle two fold story about a young deaf woman trying to fit into a hearing world and a young hearing man trying to fit into a silent world. It is important to be who God created us to be. We do not want to just ‘fit in’, we want to ‘belong’. There is a tension created between the signing and the hearing world when one is forced to be moulded into something they have no desire for. There is the theme of the unconditional love of a mother for her child. The Outing deals with the theme of guilt. Guilt if not dealt with appropriately will eat away at a person causing them to feel shame. A guilty conscience is not as easy to remove as one would think. There is also a narcissistic theme where one is quite happy to sacrifice everyone and even one’s own principles in order to achieve personal goals. These were four very different short stories containing very different themes. My personal favourite was The New Arrival as I loved the bond between one woman and her dog. A word of caution to Christian readers, as this is a mass market paperback there are themes and words that may cause offence.